Want to support Easter Seals Texas? 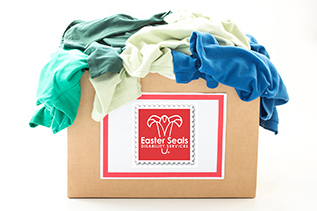 We've partnered with Savers Thrift Stores so your donated clothes and household goods benefit Easter Seals Central Texas. To change the way the world defines and views disability by making profound, positive differences in peoples lives every day. Easterseals Central Texas celebrates Dia de los Muertos! 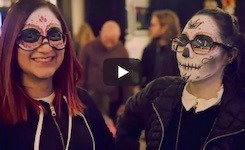 Click above to watch an awesome video of our Dia de los Muertos celebration! 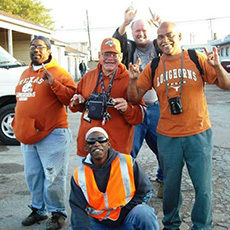 Thank you to Texas Wranglers for their generous support, and to all who attended and supported the event. The Dupuies found Easterseals when Brianna was only 14 months old. 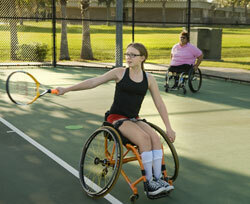 Brianna received physical occupational and speech therapy that were vital to her development and life. Now, the Dupuies are advocates for Easterseals Central Texas. We have some great events coming up! Join Easterseals on Wednesdays in July and August for Hot Yoga! 100% of the proceeds from Modo Yoga's Wednesday night class will benefit our services. Mark your calendars for Disability Awareness Day this November. Learn more. Is your school, church or group looking to raise money? You can have a clothing drive! Thanks to a partnership with local Savers thrift stores, can not only impact our mission at Easterseals but also raise funds for your organization through clothing donation drives. They are easy, fun, and a great way to bring the community together. We can help you help others! Join us on Saturday, April 14. to our 21st Annual Casino Royale Gala that will be held at the Fairmont Hotel in Austin. Click Go for more details.